It’s true in almost any industry — numbers don’t lie. So, when you’re choosing a promotional product, use your gut instincts and expertise, but also check into what’s working. 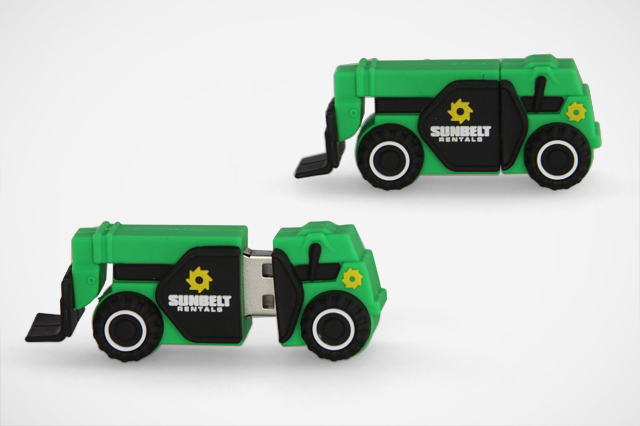 A USB drive as a promotional product is getting results for businesses across the globe. Learn what kind of results you can expect by choosing this unique promotional product. Receiving a promotional product is enjoyable for consumers. 83 percent of people like receiving a promotional product with a marketing message[i]. Think about the experience of passing out flyers or business cards. Consumers generally avoid these like the plague. In contrast, receiving a promotional product is an enjoyable experience that consumers look forward to. Did your last marketing campaign get that kind of response from consumers? Let’s take that a step further. Not only do consumers like getting a product, but 48 percent want to get their hands on promos more often! Imagine how that kind of consumer response could transform your marketing efforts. Finally, promotional products have staying power in the minds of consumers. That’s because 38 percent of them see the product as providing a “constant reminder” of the business. There are few other ways to get your business front and center in such a favorable way. Targeted. These products are tangible, and they get right into the hands of consumers. Essentially, they cut through all the noise that other less effective marketing tools make. Impactful. Promo products like USBs have a huge impact on consumers. A study showed that after two years of receiving an item, more than three-quarters of consumers could recall the item, the advertiser and the message. Now, that number makes a statement, doesn’t it? Customizable. Create a customized USB to reflect your specific business. For instance, HBO recently partnered with CustomUSB to manufacture Game of Thrones USBs[ii]. The unique shape, color and texture of the USB promotes an impactful, targeted, cost-effective experience for consumers, who are able to purchase a line of collectible USBs. Cost effective. Put a USB in front of consumers one time, and the item makes an impact for a long time. Compare that type of exposure rate to a TV Ad or Radio Ad against a Calendar – which may not be memorable at all, or it might get tossed in the garbage. Cut through the clutter of marketing tools vying for your attention. With proven benefits, USB flash drives increase marketing results, drive business performance, and create a lasting impact for a small investment. When you’re ready to invest in a promotional product with out-of-this-world results, contact CustomUSB to explore your options! What’s working in promotional products? The USB Isn’t Dead – It’s Better Than Ever!